Arsenal boss Arsene Wenger is putting his best foot forward to land Ligue 1 star Julian Draxler. L’Equipe claim that Arsene Wenger is in talks with PSG to that end. Draxler is eyed as one of Alexis Sanchez’s possible successors by the Gunners and Wenger may want to let him play for the Gunners hoping Draxler will favour a move to North London in the summer if all goes well. Arsenal are in a long list of suitors for the German who has not been getting enough time on the pitch. Draxler is a player of the highest quality and he is very unlikely to stay at PSG too long, given his current situation. The former Wolfsburg man would be a huge boost to Arsenal and may see them through to the Champions’ League next season. Draxler is out of contract at the end of the season and Wenger has moved early to make sure that he gets his man. 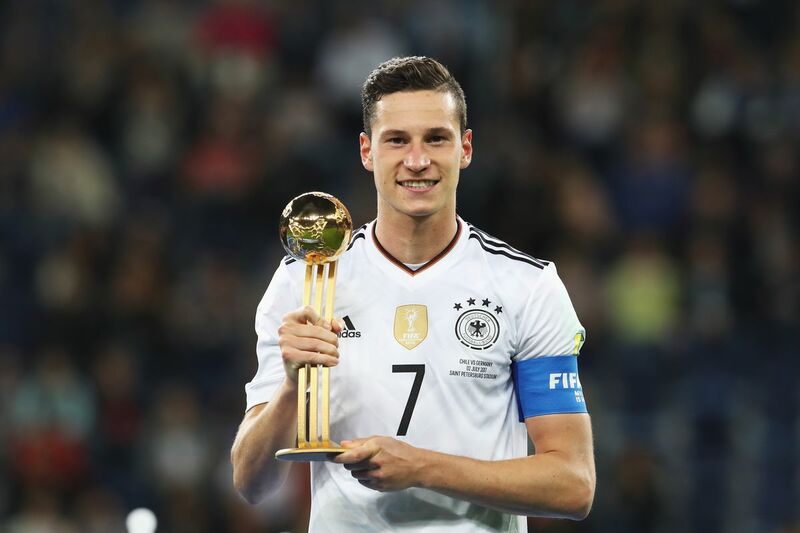 Draxler, however has maintained that he wants to fight for his place at the club and ahs praised the likes of Neymar and Mbappe. The winger is scheduled to go up against Monaco this weekend. Arsenal have also been linked with Nabil Fekir and Leon Goretzka. Share the post "Arsenal boss looking into January transfer for star midfielder"